We recently had the pleasure to interview the former CEO of dubizzle, and founder of Working in Digital, Arto Joensuu. Throughout the interview, Arto shares his knowledge, experiences, and advice on how to establish a successful online marketplace, as we explore numerous key areas vital to marketplace success including lead generation, monetization, expansion, trust building and much more. Q: Hi Arto, thank you for taking the time from your busy schedule to talk with us. Can you begin by sharing some insights about your career so far? Q: Your first steps into the world of marketplaces were as Head of Marketing at dubizzle in the UAE. How did you strategically align the business and expanded the growth? Arto Joensuu: Dubizzle was at an interesting stage of development when I joined. It had become a success in Dubai (one of the emirates within the UAE) and was looking to expand further within the country, as well as across the MENA region. The company was led by 2 smart and driven entrepreneurs who wanted to spread the concept across the region and simultaneously increase the revenue streams within the UAE. Q: What were the most important components in your marketing strategy at the time? Arto Joensuu: On a broad level, we used to talk a lot about 2 types of marketing functions/skillsets: makers and spreaders. Makers were fundamentally responsible for bringing our brand purpose to life through content. Spreaders mastered distribution and optimization. Our content at large was divided into stock and flow content, signifying larger “stock” content pieces centered around wider themes, whilst the “flow” content was more reactive or trigger based. Another important dimension to the strategy was a holistic understanding of the customer journey and user segments. The customer journey had to be looked at holistically, spanning across overall awareness generation, to engagement, conversion, retention, and monetization. The user segments themselves focused on finding the equilibrium between sellers and buyers as well as b2c vs b2b segments. This, in returned, ensured proper equilibrium between both entities, resulting in a vibrant marketplace where demand and supply met “eye to eye”. This is where your analytics can play an important role in helping you navigate the waters across both, the acquisition and retention funnels. In addition to our own online metrics tools, I always found it extremely useful to map out our overall communication efforts across all channels. If we were doing PR or other on-ground activations, we could suddenly go back and start seeing patterns between overall awareness generation as well as actual engagement through organic visits and non-paid media. It’s by no means rocket science, as long as you’ve established clear end action goals that you are monitoring. Is the registration process simple enough? What is our 30-day retention rate? Are the listers able to list their items at ease but with high quality? Do the items get sold? How often are they coming back? At dubizzle, one of the key metrics we used to look at was what we called “ruffians” (another way of pronouncing RFNS, which meant returning, free, non SEO traffic). This metric was particularly important to us, as it signified a “quality returning visit” and was a good indication for true organic, non-prompted retention. For individual transactions, it was pretty clear that you had to ensure (and reward) for the quality for the listing (to get more views and leads) and simultaneously, ensure that the listing to sales cycle was as rapid as possible. If an item has been listed for several days and isn’t getting leads, we could trigger automated emails to our users, where we prompted an edit/enhancement to the listing (ad a better description/copy text or insert additional images, etc. If the quality score of the listing was good, then perhaps the price was wrong and we educated the seller with average sales prices for similar items he or she was trying to sell. Q: Do you think your strategy can be replicated today? Arto Joensuu: I believe that these fundamentals continue to remain relevant in today’s time and age. Organizations that are purpose driven and have their minds set across the entire value chain tend to find their way. I guess the important thing is to stay true to your “why” and not let that get diluted along the way. When it comes to horizontal marketplaces, I think the same rules still apply in terms of getting the critical mass onto your platform and later monetizing and expanding into b2b verticals. Of course, in today’s time and age, we are seeing the emergence of more and more niche driven marketplaces, where volumes of users are not necessarily large but the engagement and the volume of transactions/retention are extremely high. A big enabler for this has been companies like Sharetribe, that in a similar manner to Automattic (the creators of WordPress) enable marketplaces around niche interests to become mainstream. We can see how social media is constantly evolving from niche players emerging and later getting acquired by larger players and becoming mainstream medias. The same early adopter audiences move on to new niche communities while the masses flock to the services orchestrated by the big internet players. The evolution is constant, and the overall classifieds industry is not immune to this disruption revolution around the corner. Big players need to find new ways to evolve the classifieds marketplace and overall core loop involved. Q: One of your key responsibilities was to expand dubizzle geographically, can you share how you succeeded with the geographical expansions? Arto Joensuu: Our regional expansion was a combination of sleepless nights, insane turnaround times, 2 political revolutions, a lot of Red Bull and an end result which sparked a nationwide movement. In other words, welcome to Egypt, basha! In retrospect, (it’s always easy to be the Monday morning quarterback) there were a lot of elements that made our Egypt expansion a success. Here are a few things I personally felt that made a true difference for us. We knew that another large classifieds player was also entering the Egyptian market and we had very little time to turn things around. This meant that we needed to put our full weight behind this initiative and our previously crafted brand work really served us well in this context. A highly aligned team can make all the difference in the world when things get tough. I guess we all know that classifieds marketplaces stride on large volumes of high-quality content. Content attracts buyers and buyers means successful re-distribution if items that people have fallen out of love with. We focused quite strongly on the general items for sale segment, meaning everyday household items that people no longer needed. A great way to do this is to introduce an element of lifestyle-driven marketing into the mix, where the seller represents an aspirational target group that in return attracts buyers into the marketplace. For example, a young family that is selling a baby carriage that their child either outgrew or was originally given as a “double gift” brings people in similar life stages together and can even result in new friendships being formed. 3. Become the talk of the town. As dubizzle entered the Egyptian market, we wanted to create and engage in an overall society-wide conversation about the second-hand economy. In Egypt alone, the value of unused items people had in their homes was equivalent to the entire GDP of Sweden. If people would take action and sell the items they have fallen out of love with, more money is re-fueled into the economy hence improving the overall economy in the country. This meant an overall paradigm shift in the definitions of ownership as well as the new vs second hand thought process. By tapping into a universal topic that had an impact on the whole society, our dubizzle GM was a frequent visitor to talk shows where larger Egypt wide topics were discussed. Becoming the talk of the town isn’t about creating a clever marketing campaign, it’s really about creating a movement. Q: How do you think marketplaces need to approach geographical expansions today? Arto Joensuu: There’s always been active dialogue around the need to localize vs. going to market with a more globally led brand identity. This topic goes beyond brand identity, however. At dubizzle, we soon realized that our mainly desktop driven English site for the UAE would not cut it as we planned to enter mainly Arabic speaking markets. We needed to build our MENA sites from scratch, taking a mobile and Arabic first approach to the whole process. At the time, we realized that for example, Arabic font libraries that were mobile (or even desktop) optimized were scarce and in many instances illegible on mobile devices. Before thinking about a localized marketing campaign, we need to fix the basics and develop a user experience that didn’t get in the way of our core loop. We also noted things like email vs mobile number penetration across emerging markets. It was basically useless to have an email sign up and we went directly to mobile number-based registration methods as these were the common standard across the region. We were fortunate that these changes were made before we entered the Egyptian market with a bang. By having the fundamentals in place, we could shift our focus towards overall activation and awareness building. Q: In marketing, it’s important to have a consistent tone and imagery. With a marketplace, you heavily rely on user-generated content. How do you ensure that the content submitted by users adheres to, or at least doesn’t break, your tone of voice? Arto Joensuu: Content quality is a common theme/struggle for any classifieds business. The overall listing process is an obvious area where good content can be encouraged (and incentivized by for example giving the listing higher visibility within the marketplace). The move to mobile/app-based solutions allows for easier image uploading, but also the potential addition of other metadata that can make the discoverability and look & feel of the listing more attractive. I think that also the tone of voice across the overall category structure and content fields can have a big impact on the overall end quality of the listing itself. In recent years, we’ve seen market entrants into the classifieds space (such as Soma), who have taken the individual listing into a more shareable/interactive product card format. What this does, is that the product starts having a life of its own and can be embedded and promoted, liked and shared across multiple venues. This forces the content to be good if it wants to have legs to spread (and live beyond one-off transactions). Q: How do you make sure that your front page, or first search page, is in line with the brand you want to portray? Arto Joensuu: This is quite a large topic in itself but obviously, one dimension that differentiates a classifieds marketplace from a more traditional e-commerce marketplace is the overall transaction category structure. For ex. when you enter an e-commerce site, you’re pretty much already certainly looking for a specific item (or category of items in that segment). The overall search process is more structured, and the items displayed usually start from that user-generated search pattern. With classifieds, the process can be similar to an e-commerce play (you go in and search specifically) but there’s also a profound layer of random discovery. For example, you didn’t necessarily know that a 1979 Darth Vader helmet was for sale but you discover it by chance. The home page can serve this endless treasure hunt of discoveries by bringing high-quality content to the home page instead of immediately driving your users down the traditional search path. A lot of the mobile/app driven classifieds spin-offs are leveraging this in quite smart ways and the discoverability along with smart geo and metadata can make the overall user experience a unique one. The brand is the experience and this touches every aspect of the service. Q: You’ve also helped marketplaces improve their lead generation. Is SEO still important? and do you have any tips on how marketplaces can improve their lead generation? 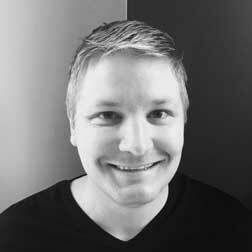 Arto Joensuu: I think SEO and SMO both continue to play an important role in overall lead generation. If you think of giants like YouTube, a big part of their content gets consumed outside of their own site/app via embedded links on other social channels and websites. This speaks to the fact that lead generation needs to evolve beyond optimizing what’s on your site and thinking about ways in which your user-generated content gets extra mileage through social recognition and distribution. Q: Do you know of any new creative ways to improve SEO and lead generation? When an e-commerce player sells a new mobile phone, they have the transactional data of the one-off sale, after which the item pretty much disappears off the digital grid until the owner decides to sell it on a classifieds site. When the item is posted online, the classifieds player gets a small piece of the item lifetime, as they know when the item was sold and for what price. Then again, it goes off the grid until it’s maybe sold for the 3rd time or disposed for recycling. What if these items had a digital identity (aka an interactive product card) from the get-go? This would fundamentally bridge the gap between e-commerce and classifieds and could even extend into the whole sustainability piece at the end of life stages of the manufactured device. Along the way, item sale and resale value would be tracked, the item would form “link bait” of its own, as the IIC could be liked, shared or promoted by man and machine alike. Manufacturers would get valuable information on their product resale value, quality, “life expectancy” and distribution. Classified players would basically have multiple touchpoints to the value chain as technically the item is never deleted once sold. This is something I believe has immense potential in the future. Q: When is it important to optimize monetization? and what are the ‘must have components’ in a successful monetization strategy? Arto Joensuu: Monetization basically contains two dimensions, the b2b, and b2c sides. I guess that with any of the 2, it really comes down to a healthy equilibrium of buyers vs sellers. Traditionally it was about getting the needed b2c sellers and buyers onto the platform, which in return would bring the b2b players onboard and this would be the first segment that you monetize. Once you’ve become the clear market leader, the b2c monetization kicks in towards the later stage of monetization. The industry has obviously evolved from this and you start seeing rapid verticalization of certain segments (ex. property, cars, jobs) instead of pursuing with a unified horizontal classifieds approach only. You can also start seeing early stage monetization happening with more niche classifieds players where highly specialized b2c groups start forming around specific interest areas like fashion, watches, collectibles, etc. Perhaps one of the toughest transitions in the abovementioned monetization streams is related to going from b2b monetization to b2c side monetization. There’s always an element of fear that by putting up a paywall to a b2c category, you will lose traffic and users to a competitor. When dubizzle decided to monetize its cars section on the b2c side, the team spent a lot of time evaluating the overall transition and ultimately, the overall used car ecosystem/landscape within the UAE. What we discovered quickly is that b2c users listing their cars on the marketplace received substantially more leads than the other platforms and that the end user was (on average) able to sell their car at a higher price than by going through a 3rd party. We also ran a series of A/B tests to identify the right price point for the listing fee and mapped out the various payment solution providers that would fit our user needs. In the end, the launch was successful and paved the road towards monetizing across other categories as well. In the end, I think it’s really about perceived value for your offering and if the marketplace works, people are ready to pay a small fee to the marketplace enabler. Q: Trust is key for a successful marketplace, what’s your view on trust and how do you think marketplaces can build a safe platform? Q: How can you differentiate yourself as a marketplace in 2019, when there are a ton of new marketplaces popping up? Arto Joensuu: I think this comes back to the “WHY” your company exists and what’s the deeper substance behind what you are trying to achieve. People don’t buy what you do, they buy why you do it and having this clear vision filter across everything you do creates differentiation. This might also mean that you need to be willing to sacrifice your current cash cows (and create new ones in the long run) by continuously innovating and finding ways to disrupt existing business models. Perhaps a point to make here is that it’s not about disruption “for the sake of disruption” but instead, finding new ways of bringing your “WHY” to life. Think about Kodak. If their true purpose was to enable people to capture their most precious moments in life and re-live them through pictures, they should have been all over the digital camera (which they actually invented). Instead of embracing this new way of bringing their purpose to life, they never capitalized on this new innovation because (at least in the short run) it would cannibalize their film business. Soma: a disruptive blockchain based classifieds platform. Fuzu: an innovative learning/job platform for the emerging markets. Golf GameBook: the driving force behind the digitalization of golf. Sports Travel Group: providing unique travel experiences for golfers around the world. Think the big tech players don’t tackle content moderation in the same way as your classifieds business? Think again! At a recent European Parliament conference, leading lights from some of the world’s best-known technology companies gathered to share their ideas, and challenges. But exactly what are they up against and how do they resolve issues? No doubt about it: content moderation is a big issue – for classifieds sites, as well as content and social platforms. In fact, anywhere that users generate content online, actions must be taken to ensure compliance. This applies to both small businesses as well as to the likes of Facebook, Medium, Wikipedia, Vimeo, Snapchat, and Google – which became quite clear back in February when these tech giants (and a host of others) attended the Digital Agenda Intergroup’s ‘Content Moderation & Removal At Scale’ conference, held at the European Parliament in Brussels on 5 February 2019. What came out of the meeting was a frank and insightful discussion of free speech, the need to prevent discrimination and abuse, and the need to balance copyright infringement with business sensibilities – discussions that any online platform can easily relate to. The conference, chaired by Dutch MEP, Marietje Schaake of the Digital Agenda Intergroup, was an opportunity to explore how internet companies develop and implement internal content moderation rules and policies. Key issues included the challenges of moderating and removing illegal and controversial user-generated content – including hate speech, terrorist content, disinformation, and copyright infringing material – whilst ensuring that people’s rights and freedoms are protected and respected. Or, as Eric Goldman, Professor of Law at the High-Tech Law Institute, Santa Clara University, put it ‘addressing the culture of silence on the operational consequences of content moderation’. Given the diverse array of speakers invited, and the sheer difference in the types of platforms they represented, it’s fair to say that their challenges, while inherently similar, manifest in different ways. For example, Snapchat offers two main modes on its platform. The first is a person-to-person message service, and the other – Discover mode – allows content to be broadcast more widely. Both types of content need to be moderated in very different ways. And even though Snapchat content is ephemeral and the vast majority of it disappears within a 24-hour period, the team aims to remove anything that contravenes its policies within two hours. By contrast, Medium – an exclusively editorial platform – relies on professional, commissioned, and user-generated content. But though the latter only needs to be moderated – that doesn’t necessarily make the task of doing so any easier. Medium relies on community participation as well as its own intelligence to moderate. A massive resource like Wikipedia, which relies on community efforts to contribute information – rely on the same communities to create the policies by which they abide. And given that the vast wealth of information is available in 300 different language versions, there’s also some local flexibility in how these policies are upheld. Given the 2 billion users it serves, Facebook offers a well-organized approach to content moderation; tasking several teams with different trust and safety responsibilities. Firstly, there’s the Content Policy team, who develop global policies – the community standards, which outline what is and is not allowed on Facebook. Secondly, the Community Operations team is charged with enforcing community standards. Thirdly, the Engineering & Product Team build the tools needed to identify and remove content quickly. In a similar way, Google’s moderation efforts are equally as wide-reaching as Facebook. As you’d expect, Google has a diverse and multilingual team of product and policy specialists – over 10,000 people who work around the clock, tackling everything from malware, financial fraud and spam, to violent extremism, child safety, harassment, and hate speech. What was interesting here were the very different approaches taken by companies experiencing the same problems. In a similar way that smaller sites would address user-generated content, the way in which each larger platform assumes responsibility for UGC differs, which has an impact on the stances and actions each one takes. One of the key topics the event addressed was the role content moderation plays in deterring and removing illegal and terrorist content, as well as hate speech – issues that are starting to impact classifieds businesses too. However, as discussions unfolded it seemed that often what should be removed is not as clear cut as many might imagine. All of the representatives spoke of wanting to offer freedom of speech and expression – taking into account the fact that things like irony and satire can mimic something harmful in a subversive way. Interestingly, she also admitted that Snapchat doesn’t tend to be affected greatly by terrorist content – unlike Google which, in one quarter of 2017 alone, removed 160,000 pieces of violent extremist content. In discussing the many ways in which the internet giant curbs extremist activity, Google’s EMEA Head of Trust & Safety, Jim Gray, referred to Google’s Redirect program – which uses Adwords targeting tools and curated YouTube videos to confront online radicalization by redirecting those looking for this type of content. Facebook’s stance on hate speech is, again, to exercise caution and interpret context. However, one of the other reasons they’ve gone to such efforts to engage a range of individual country and language experts in their content moderation efforts – by recruiting them to their Content Policy and Community Operations teams – is to ensure they uphold the rule of law within each nation they operate in. However, as Thomas Myrup Kristensen – Managing Director at Facebook’s Brussels office – explained the proactive removal of content is another key priority; citing that in 99% of cases, given the size and expertise of Facebook’s moderation teams, they’re now able to remove content uploaded by groups such as Al-Qaeda and ISIS before it’s even published. The second topic of discussion was the issue of copyright, and again it was particularly interesting to understand how large tech businesses curating very different types of content tackle the inherent challenges in similar ways – as each other and smaller sites. Despite being a leading software developer community and code repository, the vast majority of copyrighted content on GitHub poses no infringement issues, according to Tal Niv, GitHub’s Vice President, Law and Policy. This is largely down to the work developers do to make sure that they have the appropriate permissions to do build software together. However, when copyright infringement is identified, a ‘notice and takedown system’ comes into play – meaning the source needs to be verified, which is often a back-and-forth process involving several individuals, mostly developers, who review content. But, as a lot of projects are multilayered, the main difficulty lies in unraveling and understanding each contribution’s individual legal status. Dimitar Dimitrov, EU Representative, at Wikimedia (Wikipedia’s parent company) outlined a similar way in which his organization relies on its volunteer community to moderate copyright infringement. Giving the example of Wikimedia’s media archive, he explained how the service provides public domain and freely licensed images to Wikipedia and other services. About a million images are uploaded every six weeks, and they’re moderated by volunteers – patrollers – who can nominate files for deletion if they believe there’s any copyright violation. They can then put it forward for ‘Speedy Deletion’ for very obvious copyright infringement, or ‘Regular Deletion’ which begins a seven-day open discussion period (which anyone can participate in) after which a decision to delete or keep it takes place. Citing further examples, Mr. Dimitrov recalled a drawing used on the site that was taken from a public domain book, published in 1926. While the book’s author had died some time ago, it turned out the drawing was made by someone else, who’d died in 1980 – meaning that the specific asset was still under copyright and had to be removed from the site. Vimeo’s Sean McGilvray – the video platform’s Director of Legal Affairs in its Trust & Safety team – addressed trademark infringement complaints, noting that these often took a lot of time to resolve because there’s no real structured notice and takedown regime for these complaints, and so a lot of analysis is often needed to determine if a claim is valid. On the subject of copyright specifically, Mr. McGilvray referenced Vimeo’s professional user base – musicians, video editors, film directors, choreographers, and more. As an ad-free platform, Vimeo’s reliant on premium subscriptions, and one of the major issues is that users often upload their work for brands and artists as part of their showreel or portfolio; without obtaining the necessary licenses allowing them to do so. He noted how to help resolve these issues, Vimeo supports users when their content is taken down – explaining to them how the copyright issues work, and walking them through Vimeo’s responsibilities as a user-generated content platform; whilst giving them all the information they need to ensure the content remains visible and compliant. There can be no doubt that moderation challenges manifest in different ways and are tackled in numerous ways by tech giants. But the common factor these massively influential businesses share is that they take moderation very seriously and dedicate a lot of time and resources to getting it right for their users. Ultimately, there continues to be a lack of clarity between what is illegal – according to the law of the land – and what constitutes controversial content. That’s why trying to maintain a balance between free speech, controversial content, and removing anything that’s hateful, radical, or indecent is an ongoing battle. However, as these discussions demonstrate, no single solution can win in isolation. More and more companies are looking to a combination of machine and human moderation to address their content moderation challenges. And this combined effort is crucial. Machines work quickly and at scale, and people can make decisions based on context and culture. Whatever size of business you are – from a niche classified site covering a local market to a multinational content platform – no-one knows your users better than you. That’s why it’s so critical that companies of all shapes and sizes continue to work towards best practice goals. Want to learn more about liability and the main takeaways from the content moderation at scale conference? Check out our interview with Eric Goldman. In the increasingly competitive landscape of online marketplaces, utilizing data to fuel growth has become a necessity. In 2016, Manish Gupta, a mentor for entrepreneurs, even started calling data ‘the new dollar’, referring to its true value in terms of growth and value adding. Due to its nature as platforms for user-generated content, online marketplaces are a treasure trove of data. But not all data is created equal and spending time tracking and chasing the wrong signals can easily cause you valuable time and kill your competitive edge rather than induce the much-coveted growth you were after. The sheer volume of data available to a marketplace might feel overwhelming, and deciding which data to track can even be considered scary for some. In these scenarios, marketplaces risk becoming paralyzed and simply choose to go on with their business without accurately measuring their success or failures. How do you go about tracking data that can be used in an actionable way then? The most important thing is to have a clear-cut purpose for the parameters you decide to actively monitor. Tracking data is important, but don’t track data just for the sake of it. To best apply a data-driven approach for your marketplace success, first, define which lifecycle stage your platform is in; are you getting started and focusing heavily on growing? Have you gained traction and are now winning market shares from competitors? Or are you an established player looking to expand your current market or offering? We call these three stages for Grow, Defend and Expand. Knowing your lifecycle stage, it’s time to determine your goals. Set tangible and achievable goals unique to your situation. Stay true to your site’s current lifecycle stage and set goals within your reach, you will redefine them once you’ve excelled and your marketplace moves to the next stage. A few examples of goals can be to increase gross merchandise value (GMV), establish reliable customer support protocols, retain buyer and sellers etc. The last step is to finalize which parameter to monitor. Investigate which data you have easy and sustainable access to, and make sure they are relevant to measure the success of your goals. The key to tracking your success is to have an accurate and true overview of the direction your online marketplace is moving. 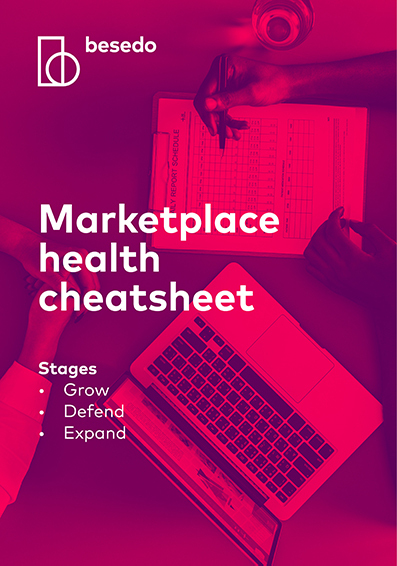 In our marketplace health cheatsheet, we look further into the goals and which kind of parameters you should consider tracking, given the lifecycle stage you’re in. Over the years of helping online marketplaces moderate their real estate sections, we’ve gathered a long list of best practices for content moderation rules and guidelines specific to this industry. If you work with a real estate site or platform you know that you need to keep a close eye on the user-generated content published by users. If you don’t, your site quickly turns from a helpful tool for smooth interactions between renters and landlords to a scam infested spam forum. Today we share some actionable guidelines on what to direct your content moderation efforts at. You can use them to increase the quality of listings, protect your users and hopefully increase the conversion rates of your real estate site. While the whole industry should slowly be moving towards sites that monetize and provide value through value-added services, most sites are not there yet. Unless your site already has a unique and strong offering of additional value, it’s likely still relying on sellers who use it as a lead generator. If that’s the case you should remove all mention of phone nr, name, and email or physical addresses to prevent platform leakage. Unless it’s your USP, all ads that mention unconventional payment methods should be removed. This is true both for swap and exchange suggestions, such as a car or cellphone in exchange for accommodation. The rule applies to unorthodox payment methods such as Bitcoins and other electronic currencies. We advise against allowing such reimbursement options as the value comparison can be hard to get right and there’s a risk one of the two parties will end up dissatisfied. You don’t want those negative feelings associated with your platform and you definitely do not want to get involved in disputes concerning unconventional payment methods. Finally, there’s also the additional risk that some of the commodities, offered in exchange, has been acquired illegally and you don’t want your platform involved in what could essentially be seen as fence activities. Whether you monetize your real estate platform by charging listing fees or not, you should remove listings with more than one item in. If you charge a listing fee, sellers who post multiple items in one go are circumventing the fee and negatively impacting your revenue. If you don’t, listings with many different offerings are still really bad as they make it harder for users to find relevant results when searching for accommodation, decreasing the user experience. It goes without saying that it’s best practices for content moderation to remove or edit any mention of competitors immediately, particularly if they include outbound links. It’s bad enough with bouncing visitors, it’s even worse if the content on your site is actively referring them to rivals in your space. We have an entire article focused on things to look out for to prevent scams on real estate sites, but one of the things we haven’t discussed in depth is listing prices. Most areas will have a pretty baseline price range for similarly sized accommodations. For cities that are extra prone to be targeted by scammers, it’s a good idea to familiarize yourself with this range. Scammers often offer up apartments for rent at too good to be true prices. If you know the realistic range, it’s easier for you to catch them before they get to your customers. We are currently working on building out a pricing database for some of the bigger cities in the world. If this project sounds interesting, be sure to subscribe to our blog and get informed when we have more information available. You’re probably already aware of the multiple lawsuits Airbnb has faced due to various instances of discrimination that’s occurred through their platform. To avoid getting into the same legal trouble and the ensuing PR storm as well as to provide all your users the best possible experience through your site, we advise taking a hard stance against any discriminatory listings. Reject any listings that singles out people of specific race, religion, or sexual orientation etc. For anyone who has followed the case of backpage.com and how its owners were indicted for earning over $500 million in prostitution-related revenue from the site, it should be second nature to have processes in place for finding and removing any content that facilitate prostitution. Apart from the moral implications, allowing prostitution is illegal in many countries and could land your company (and you) in both legal and PR troubles. If your platform isn’t offering hotel rooms or vacations homes, it’s often a good and safe practice to reject rooms-for-the-night type listings. That type of listings is often advertising accommodations used for indecent interactions. Users will sometimes submit the same listing multiple time. Why they submit duplicates may vary, but the most common reason is to try and bump up their ranking on your site. When users try circumventing rules, it’s never good as it usually impacts either user experience, violates legal commitments or, as in the case with duplicates, could get your site penalized in Google rankings. The best cause of action is to remove duplicates from your site directly before they get published, this way you ensure the quality of your site and avoid a messy search experience for other users. We’ve written more about why duplicate content is bad for real-estate sites and how to remove it here. Vacation homes in the permanent residency category or for-sale houses in the for-rent section, all contribute to irrelevant search results and negative user experiences. It’s important to remove or re-categorize misplaced listings quickly to ensure a good experience for users. Depending on the category, the required details on the commodity for rent or sale may differ. What’s always true though is that the description needs to be accurate and descriptive. Information like location, price, minimum rent time etc. should be a given. But sellers are often in a hurry and don’t want to spend too much time on the admin work that goes into writing a good listing that converts. Make sure you educate your users to create proper descriptions and titles for their listings, otherwise both bounce rate and conversion rates may suffer. In a study we did on user behavior we found that irrelevant content leads to 73% of users never returning to the site again. Following these guidelines outlined above will help you eliminate fraudulent listings and improve the quality of content as well as the overall user experience of your site. Now that we have gone through the best practices for content moderation let’s also quickly disclose where we find the biggest content moderation challenges lie for real estate sites. In 2018 these were the top 4 rejection reasons for the real estate sites we help. As you can see most of the rejected items affect either user experience, and as a result conversion rate, or they impact your revenue more directly, as is the case with multiple products, where users circumvent the listing fee. Curious about which other listings we reject for real estate sites? Check out our presentation 9 listings to remove from your real estate site to optimize for monetization from Property Portal Watch in Bangkok 2018 where we go into more details. Want to know more about best practices for content moderation or expert advice on how to set up and optimize the content moderation on your site? Get in touch and hear how we can help out. On a yearly basis, we deliver a scam awareness calendar to help online marketplaces prepare for scam spikes in the year to come. We base the scam calendar on trend observations from previous years and analysis of major happenings in the coming year. Our trust and safety team is working day-by-day with analyzing data to find fraudulent behaviors, and proactively supports our clients with information to help them stay ahead of scammers. Fraudulent behaviors on marketplaces are constantly fluctuating, as we witness periods of increased and decreased scams. Scam spikes are typically triggered by holiday seasons, festivals, events and other large happenings in a year. For you and your moderation team to stay on top of the scam spikes, you need to be aware of when and where scammers might appear. In this article, we will share some of the most common types of scam for 2019 and when you are likely to see them spike. If you want to learn more about the specific scam spikes, visit our scam awareness calendar where we predict spikes on a month-by-month basis. These two annual releases are considered some of the most important product launches of the year, by tech enthusiasts and consumers. Unfortunately, this also attracts scammers looking to deceive eager buyers. As with previous years, we’re expecting the scam spike in the weeks leading up to the launch of a new iPhone or Samsung. To protect your users, make sure to be on the lookout for pre-order listings, cheap prices compared to market price, phrases such as ‘item is new’ or ‘as good as new’ or ‘brand new in box‘, as well as deceiving phrases used in the description. Samsung is rumored to release Samsung Galaxy S10 on March 8th, with prices starting at $719. Rumors are also floating online, that Samsung will launch the world’s first foldable smartphone in March this year. Apple, on the other hand, usually host their big annual product release in early/mid-September, and if they stick to their tradition, we’re expecting their new iPhone to be launched on September 10th this year. Visit this page to stay on top of the latest news surrounding the next iPhone release. One of the most common actions targeted by scammers is vacation and holiday bookings. When we’re dreaming ourselfves away to various destinations in front of our computer or phone, scammers strategically expose us to exclusive vacation deals that looks stunning, but which in reality doesn’t exist. At Besedo we witness these types of scams on a daily basis, but April and August are considered peak season for holiday scams – when we book our summer and winter vacations. Make sure your users stay safe on your site. Be on the lookout for fraudulent holiday rental ads and offers that are ‘too good to be true’. And more concretely, your moderation team need to look out for high quality or stock pictures, free email domains, IP’s, large group rentals, price below market, full payment in advance etc. Want to learn more about holiday scams? Check out this article: It’s that time of the year again, the peak season for vacation rental scams. Shopping, shopping, shopping. We all do it, we all (most at least) love it. Phenomena like Black Friday, Cyber Monday, after Christmas sales, Singles day etc. are periods where consumers are rushing to get exclusive deals and discounts. While offline consumers are in the risking to be trampled in packed stores, online shoppers need to be vary of scammers trying to capitalize on the shopping frenzy by deceiving consumers with ‘super deals’. Be ready for a period of increased scams during and after the shopping peaks. Your team needs to be on the lookout for things like “too good to be true prices”, stock photos and phishing emails. Learn more: Holiday shopping moderation guide and Online marketplace owners’ checklist for holiday shopping. Every year there are multiple events taking place, everything from sports events to concerts and festivals. Unfortunately, most large events also attract a wave of scammers. In 2019 there are two major sports events, the Asian Cup and Copa America. For these kinds of events, your moderation team should be pay extra attention to ads with many available tickets for sale, low prices, miscategorized tickets, ultra-cheap airline tickets, address and phone number are geographically disconnected, and requests for bank transfer payment only etc. Besides the two football tournaments mentioned above, there’s a lot of concerts and festivals already sold out, which means tickets may be for sale on your marketplace. Stay ahead of the scammers, learn more about ticket scams and how to keep your users safe. Being a student often comes with a tight budget and a need to find new accommodation, often in very specific and possibly unfamiliar areas. This, naturally, makes them vulnerable to potential fraudulent rental deals and loan offers. Make sure your moderation team pays attention to new users posting flats/flat shares, pricing, emails, stock photos, and dodgy loan offers. New courses usually start twice a year, every January and September, and it is during these months we typically see an increased number of scammers trying to trick students of their money. Here’s how to automatically reduce student accommodation scams. Most of the scams we’ve listed will happen throughout the year and your team should always be looking out for them. However, by knowing when a spike is likely you can better prepare your team and you can staff accordingly. By being aware of scam spikes and adjusting your moderation setup accordingly you can both keep your users safe, reduce time to site and shrinkage. If your team size isn’t flexible, a good way to manage spikes with minimal impact to the end user is to increase your automation levels when the volumes grow. With the right setup you can automate up to 80% using filters alone and with tailored AI you can reach even better quality and levels. Want to know more? Get in touch with a content moderation solution expert today or test our moderation tool, Implio, for free. This is a guest post by Juho Makkonen, CEO and co-founder at Sharetribe. Sharetribe builds software tools to help entrepreneurs create their own sharing economy platforms quickly and with a low budget. Online marketplaces are a megatrend with no end in sight, but building a successful platform business is challenging. Many of the most common pitfalls for early-stage marketplace entrepreneurs can be avoided when you approach your marketplace as a process, not a project. There are many reasons why a marketplace can be a really great business. For one, marketplaces usually don’t need initial inventory. Unlike a brick and mortar store or a traditional e-commerce site, a marketplace business can launch without first investing in storefronts, product stock, storage spaces, or even a dedicated office. Secondly, a marketplace platform can be built very efficiently. Only a few years ago, setting up a platform with all the necessary features meant building it from scratch, which takes a lot of time, money, and technological know-how. Today, a number of SaaS companies offer platform technology at a fraction of the cost. This makes starting a marketplace business possible for everyone—including people without a big budget or extensive technological expertise. Furthermore, successful marketplace unicorns like Etsy, Airbnb, and Uber have laid the groundwork and introduced large audiences to the way marketplaces work. They have managed to convince consumers to change their behavior and do something they’re used to doing—like booking a hotel or getting a cab—differently. Today, if you say you’re building “an Airbnb for saunas” or “an Uber for personal trainers”, most people will instantly understand what you’re about. When a new platform with an appealing value proposition emerges, potential users need much less persuading to trust the platform and give it a try. With such significant advantages, it’s no surprise that a wave of new marketplaces for a variety of markets and industries has emerged. And this is only the beginning! According to marketplace investor Josh Breinlinger, there seems to be “no end in sight for marketplace opportunities”—yours could very well be the next marketplace success story! This is not to say that marketplaces can’t fail. In fact, working with marketplace entrepreneurs on a daily basis, we have noticed some pitfalls that lurk particularly in the early stages of a founder’s path. Many start their marketplace without properly validating their idea and end up solving a problem that isn’t there. Another common mistake is for entrepreneurs to not understand the concept of liquidity and its importance to marketplaces, and then making matters worse by working with too broad a focus. We’ll untangle these three pitfalls so you can get going with your marketplace business without making the same mistakes. If you have a great marketplace idea, you might be tempted to launch it as quickly as possible. Intuitively, this makes a lot of sense. Once your platform is live, you’ll get to interact with your users, receive feedback, and see how you can develop your marketplace further. Besides, with the boom of marketplace businesses going strong, who knows if a competitor is building a similar platform as we speak and is close to beating you at the race to market? However, before you write the first line of code—or even before you subscribe to a platform tool like Sharetribe—there are steps you can and should take to make sure your marketplace is solving a real problem. Every business begins with a set of assumptions or hypotheses. Your very first goal before starting your business is to understand what your assumptions are, and how you can validate them. This can be more difficult than it sounds—when you are sure you have a great business idea, it’s easy to get carried away by it and wind up ten assumptions deep. That is why we suggest using tools like the Business Model Canvas recommended by Steve Blank or Simone Cicero’s platform design toolkit and the Platform Design Canvas featured there. These tools can help you map out different aspects of your business idea and get to the bottom of the assumptions behind them. You will likely have many different types of hypotheses: some regarding your value proposition, some about your customer segments, your distributions channels, your revenue streams, and so on. Furthermore, marketplaces typically have two completely different types of users—customers and providers—meaning a different set of assumptions for both sides. After you have mapped out your assumptions, it’s time to get out of the building and talk to potential providers and customers. This is a crucial step—one you should not neglect or outsource. Ideally, you’ll find at least ten people to interview on each side. Ask open-ended, not-too-specific questions and check which assumptions hold true and which ones you should reject. You can also study online search data to find out if people in your city are searching for keywords that are relevant to your marketplace. After going through this process, you should have a good idea of what types of problems your potential users really have, and how you could go about solving them. When it’s time to start building the first iteration of your platform—your Minimum Lovable Platform—you’ll know what the absolute essential functionalities are, and what are technical details you can focus on later. In a marketplace context, liquidity means that your providers can reasonably expect to sell something they list, and your customers can reasonably expect to find what they are looking for. Marketplaces should keep track of both provider liquidity and customer liquidity. Your first job as a fresh marketplace entrepreneur is to achieve liquidity. Liquidity is measured as a percentage. To find out your provider liquidity, look at the percentage of listings that lead to transactions within a given time period. The time period you should focus on will depend on your marketplace type. For product marketplaces such as Etsy, looking at the percentage of stock being sold per month is likely a good tactic. For marketplaces like Airbnb or Uber, finding out the occupancy rate on a daily or even hourly basis is more relevant: how big a percentage of bookings are made for each night, or how many of the listed cars are in use each hour. Measuring customer liquidity is a bit more straightforward. The simplest way is to calculate how many visits you get on a given month (not including bounced visitors), and how many of those visits lead to a transaction. As an early-stage marketplace entrepreneur, assessing your provider and customer liquidity will likely leave you facing the infamous chicken and egg problem. You need more quality providers to get your customer liquidity up, but providers will only join your platform if it looks like there are enough customers for them. The tactics you use to tackle the problem will depend on your specific business model. James Currier’s 19 tactics to solve the chicken or egg problem offer great strategy suggestions for early marketplaces. One of the most common reasons why marketplaces fail is that their focus is too broad. Startup owners are frequently taught that their single goal should be to grow as fast as possible. What would be a better way to do it than to go for the biggest audience possible—to start off with a huge geographic market, or build a horizontal marketplace where everyone can sell or rent anything? We recommend doing the exact opposite. Focus tightly on one, restricted location and one vertical, particularly if your providers and customers need to meet face to face. Why? Because the bigger you are, the harder it will be to achieve liquidity. A marketplace can only scale sustainably if providers are likely to sell what they are listing and customers can find what they are looking for. When your focus is narrow, reaching this goal will be much easier. There is a reason why many of James Currier’s 19 tactics for solving the chicken or egg problem are about focusing on a niche or otherwise constricting your marketplace. With a narrow focus, you reach your critical user mass and liquidity faster. You can target your marketing extremely efficiently, you will know how to talk about your platform in a language your users relate to, and you will be able to create content that is valuable for them. All this will help you build a community of engaged users around your product. If you target a huge audience from the start, building a sufficient amount of supply and demand will take a great deal time and money—resources an entrepreneur with a narrower focus can use to improve the platform further. Which brings us to our second point, namely: you shouldn’t optimize for fast growth, but fast learning. Building a marketplace is a process, not a project. Validating your idea and building version 1.0 of your platform is only the beginning. The best marketplace businesses are the result of constant iteration and improvement, and the foundation is the insight you get from your early users. With a small but strong community around your platform, you will be in a strong position to validate your marketplace idea and unearth the biggest flaws and development needs. As the startup guru Paul Graham once advised Airbnb founder Brian Chesky: “It’s better to have 100 people love you than one million people that sort of like you.” When the time comes, a great product with a small group of committed users is a solid foundation for scaling sustainably. There are many reasons why a marketplace can be a great business, but building a successful platform business is challenging. In particular, there are three major pitfalls where many budding marketplaces tremble and fall. If a marketplace isn’t solving a real problem, it will not gain traction. As an entrepreneur excited about turning a great idea into reality, there is a danger of layering assumptions upon assumptions without truly knowing if the fundamental business idea is valid. At this stage, it is important to take a breather and use some tools and techniques outlined in this article to see which assumptions hold true. The second problem is that many marketplace entrepreneurs do not understand what liquidity is, let alone having tactics to achieve it. Put simply, your providers need to have a high likelihood of selling what they list, and your customers need to be able to find what they’re looking for. Achieving liquidity is further complicated by the so-called chicken and egg problem: to build supply, you need attractive demand, but to bring in demand, you need interesting supply. The chicken and egg problem of an early-stage marketplace is much easier to solve if your marketplace’s focus is narrow. Yet, the third problem we frequently see is that marketplaces launch targeting a massive audience, or try to build an all-encompassing “Uber for everything”. Focusing too broadly is often a failing strategy because you end up building a platform that many people sort of like when you should strive towards a solution some people absolutely love. Remember that a marketplace is a process, not a project. You should take the time to build a small but strong community around your product. Once you have that, you have a solid foundation upon which you can start building your global marketplace success story. Juho Makkonen has been building marketplace websites since 2008. He is a co-founder of Sharetribe and currently serves as the CEO of the company. He’s also a OuiShare connector in Helsinki and a longtime advocate of the sharing economy. There is a saying, a craftsman is only as good as his tools. Anyone with a blunt kitchen knife or a printer of any kind will no doubt agree. So why should it be any different for your marketplace? A marketplace has a multitude of needs and while it can be tempting to create solutions for all of them yourself, it isn’t always the best place to invest your resources. In a previous blog post, we’ve discussed how you need to consider whether a feature or tool is a business need or a unique selling point before pouring time and money into developing it. If it’s the former, it may be prudent to save money by looking for a 3rd party solution to the problem. The good news for marketplace owners is that there are a ton of great tools out there that smoothly help solve a lot of your business needs. If you search for marketplace tools online you are most likely going to be flooded with offers, some useful some not so much. To make it easier to locate quality tools for marketplaces we’ve created an overview of companies who provide excellent tools that help with acquisition, conversion and retention throughout the buyer journey. When making decisions concerning conversions in the digital space it is good advice to think from a customer-centric point of view. Therefore, we have broken down the customer journey for buyers step by step to provide you with a list with the tools necessary to provide great UX at each stage. 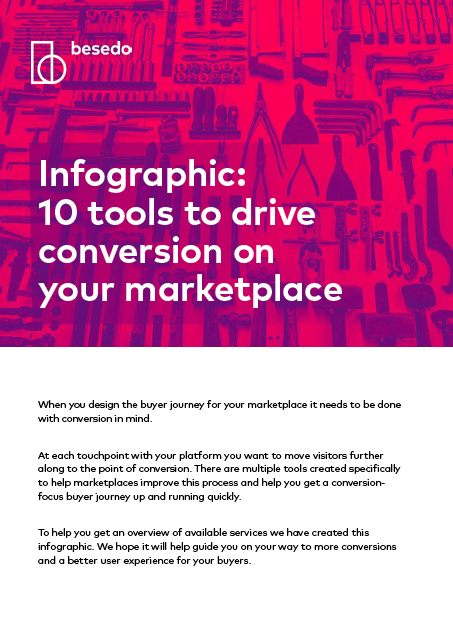 Check out our infographic “The toolbelt for marketplaces – Buyer journey edition” to see if you have everything in place for excellent user experience from early awareness to the re-engagement phase. Normally when people think about health, it’s often physical or mental health for humans that come to mind. But have you ever stopped for a moment to think about your online marketplace from a health perspective? If not, maybe you should? Online marketplaces are like living organisms that require their own health checkups. But instead of visiting the doctor, the platform operator should constantly measure results and adjust strategies to ensure the desired goals, at each stage, are met. By tracking multiple parameters, you can confidently stay on top of your site’s overall health. But defining your goals in each stage, knowing how to achieve them and select correct parameters to successfully track the performance, are not the easiest of tasks. Together with Jeff Nolan, we sat down to explore how online marketplaces can define appropriate goals in three different lifecycle stages; growth, defend and expand, and help you discover what kind of parameters (or KPI’s if you want) you should consider tracking to ensure your marketplace is moving in the right direction. 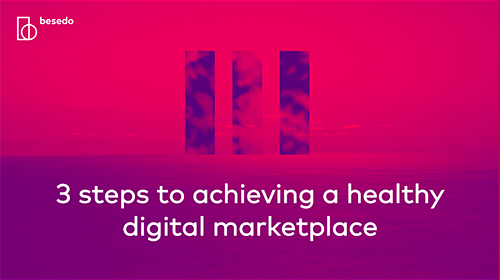 Watch the webinar and learn how to ensure a healthy marketplace.